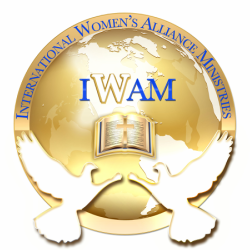 Global 9th Hour Prayer Initiative - International Women's Alliance Ministries, Inc. The New Testament Church customarily went to the temple at the hours of prayer, specifically 3rd hour, 6th hour and 9th hour. Evidence of this is revealed in the account of a miraculous event which occurred at a particular time when two of the disciples of Jesus were entering the temple shortly after the day of Pentecost: "Now Peter and John went up together into the temple at the HOUR OF PRAYER, being the ninth hour" (Acts 3:1). On this occasion a lame man was gloriously healed when the apostle Peter took him by the hand and said, "Silver and gold have I none; but such as I have give I thee: In the name of Jesus Christ of Nazareth rise up and walk...and immediately his feet and ankle bones received strength" (Acts 3:6-7). They were not at the temple by happenstance nor randomly entering the temple but very deliberately doing so at the Hour of Prayer.